On the first Sunday of Great Lent (Sunday of Orthodoxy), Metropolitan Nicholas visited the Holy Trinity Cathedral in Toledo, OH. 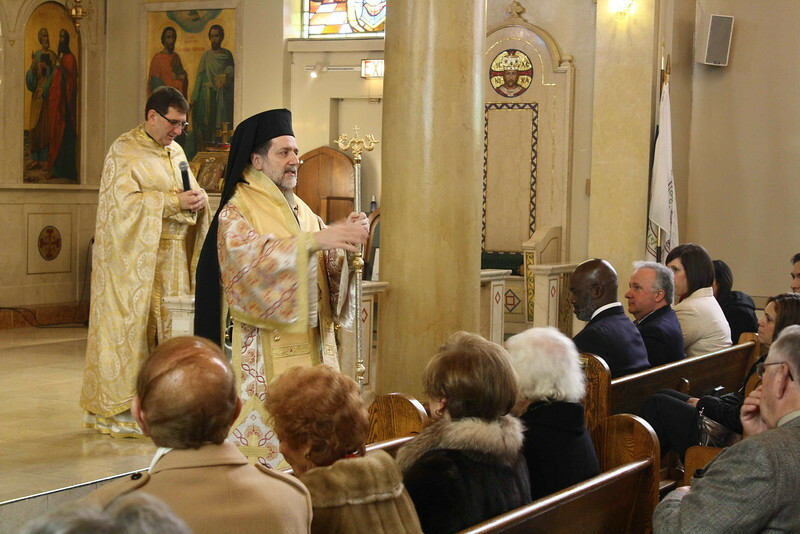 On this occasion, the Honorable Michael Bell, Mayor of Toledo, OH was also invited to attend the Hierarchical Divine Liturgy and speak to the community at the end of the service. Metropolitan Nicholas was assisted by Fr. Aristotle Damaskos (Proistamenos) and delivered the sermon. After the Liturgy, Mayor Bell presented Metropolitan Nicholas with a Proclamation recognizing Metropolitan's importance, service and contributions to the community of Toledo, OH, as well as a Congratulatory plaque from the City Council commemorating his upcoming thirteen year anniversary of his election as hierarch of Detroit.